With today’s modern orthodontics, a straight smile doesn’t have to come at the sacrifice of spending months or years in metal brackets and wires. With Invisalign, adults and teens can correct a wide range of orthodontic issues without others even noticing. As part of our dental services at ConfiDenT, we are proud to be qualified providers of Invisalign clear aligner therapy. Compared to traditional braces, Invisalign can offer significant advantages toward your comfort, self-esteem and lifestyle. 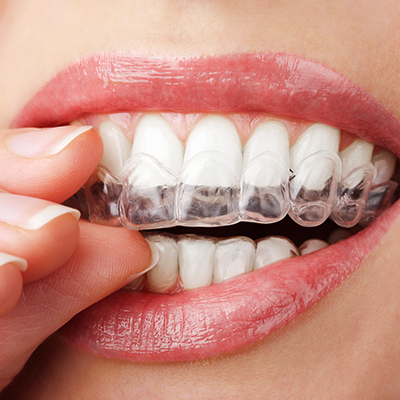 Invisalign treatment involves wearing a series of clear plastic aligners. Each aligner set is custom made to fit your unique smile and accomplish your specific alignment goals. Best of all, Invisalign aligners are virtually invisible and can be removed for eating, brushing and flossing. This means you can remain confident during your orthodontic treatment as well as keep the health of your teeth and gums in check. While the discretion and convenience of Invisalign are certainly appreciated, the effectiveness of this clear aligner system is no less impressive. 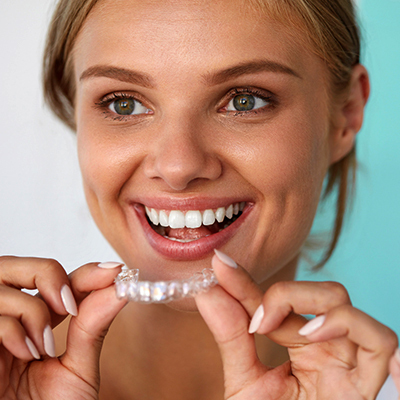 Invisalign can be used to correct improper bites as well as teeth that are gapped, crooked or crowded. You’ll simply follow your dentist’s instructions to change out your aligner set every two weeks until your final smile goals are achieved. Unlike traditional braces, you won’t be required to visit our office on a frequent basis for adjustments. Whether you are an adult or teen, Invisalign is a proven orthodontic treatment designed to fit your lifestyle in multiple ways. In fact, teenagers are especially drawn to this innovative smile-straightening system. Invisalign Teen works just like the adult version, yet it is equipped with a few key elements specifically for younger patients. For example, to remind teens to keep up with wearing their aligners the recommended 22 hours a day, Invisalign Teen has a discreet blue dot that fades away as the aligners are worn. The translucent appearance and removable structure of Invisalign Teen is a highlighted benefit for socially-conscious teenagers. They can smile confidently for yearbook photos and avoid the discomfort and embarrassment of wearing a mouth of metal. Teens can even eat the foods they love since the aligners are removed during snacks and meals, another welcome advantage from Invisalign. To learn more about Invisalign or Invisalign Teen and to determine if you are a candidate for this modern orthodontic treatment, please contact our office today. 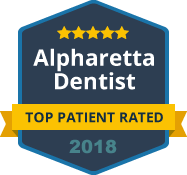 At ConfiDenT, we love helping patients achieve their best smile using the most preferred methods available.